Registered nurses hold the most autonomy of the major nursing roles. Ohio’s RNs may follow one of four education pathways: hospital diploma, associate’s degree in nursing (ADN), bachelor of science in nursing (BSN), or direct-entry master of science in nursing (MSN). All candidates must pass the NCLEX-RN national licensure examination at the conclusion of their studies. Dayton’s RNs earn a median annual salary of $59,180. Licensed practical nurses are junior to RNs, but they independently perform many tasks like dressing wounds and providing injections. Ohio’s LPNs must complete a 12- to 18-month certificate program in practical nursing, and they must successfully pass the NCLEX-PN national licensure examination. LPNs in Dayton earn $41,230 per year on average. Nursing assistants help patients with essential daily tasks in a variety of long- and short-term care settings. Ohio’s CNAs must complete a brief course and pass the state certification exams before practicing. Dayton-based CNAs typically earn $23,720 per year. Dayton has several large nursing employers including Premier Care Partners, Kettering Health Network, and Kindred Healthcare. 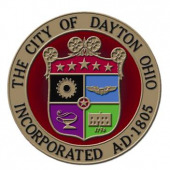 To help the city’s aspiring nurses find work at these institutions, we have profiled below each of the accredited nursing schools in the Dayton metropolitan area.